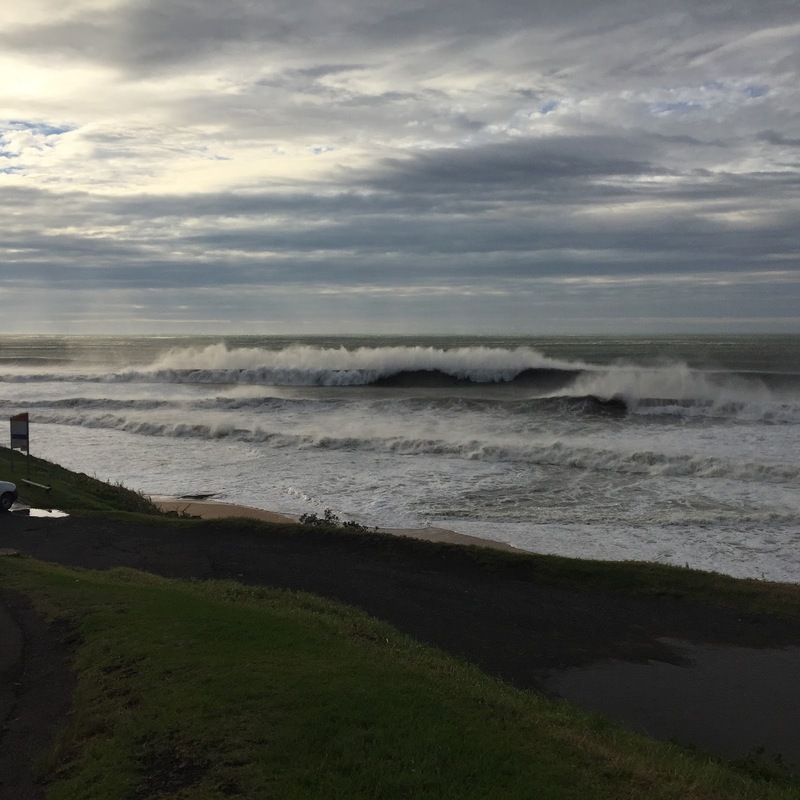 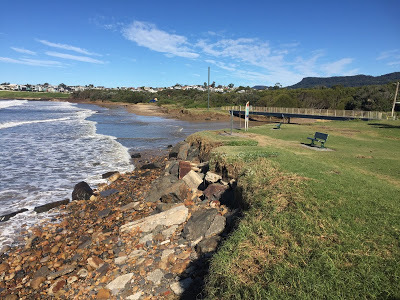 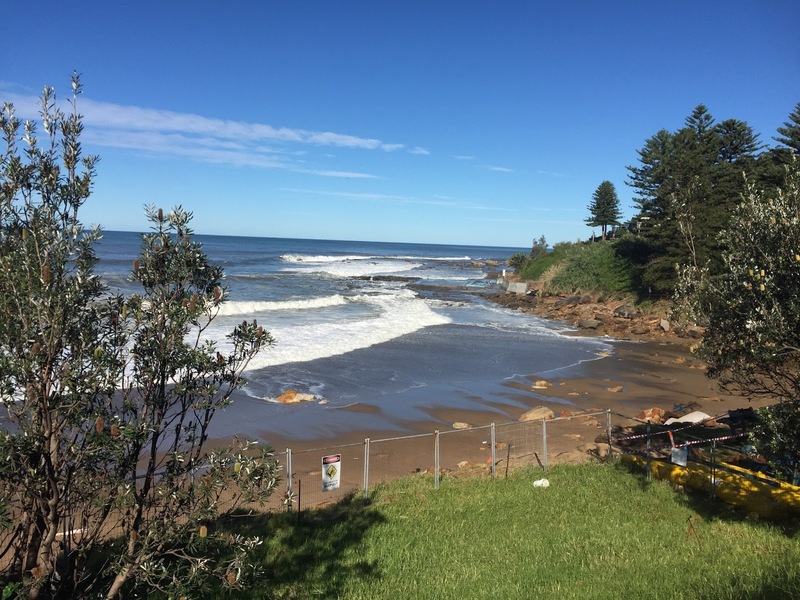 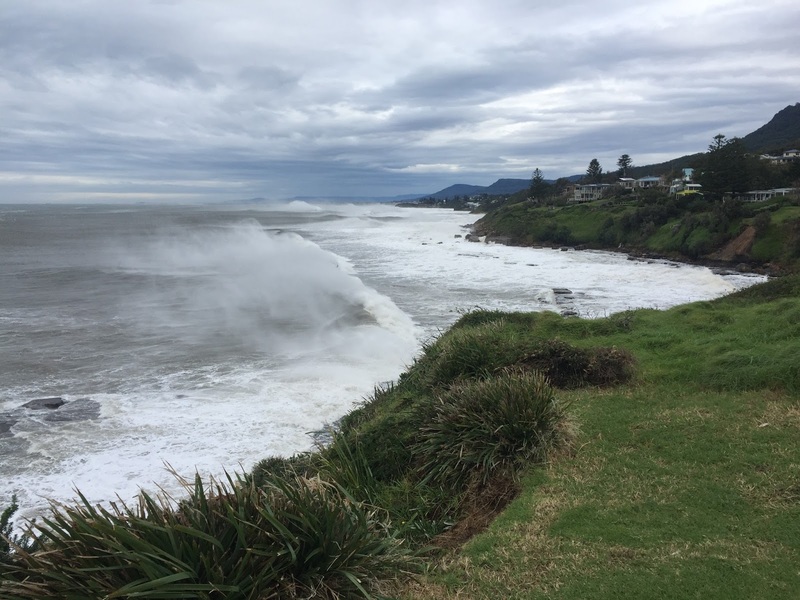 The Northern Illawarra is recovering from last weekend’s East Coast Low. 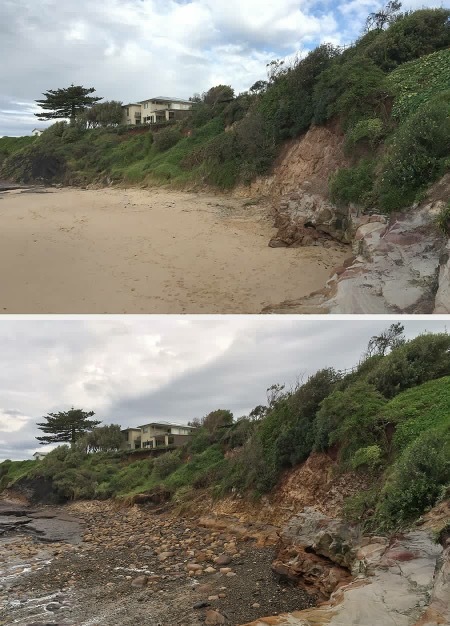 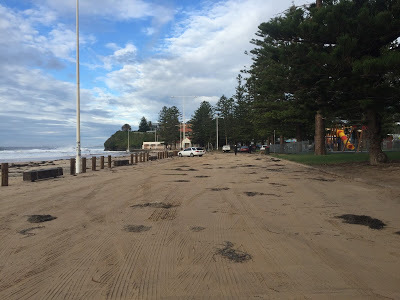 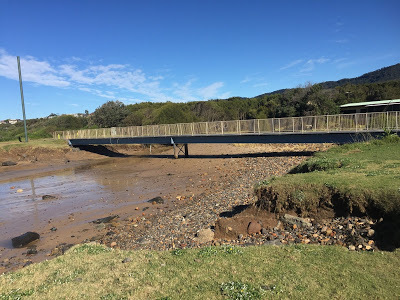 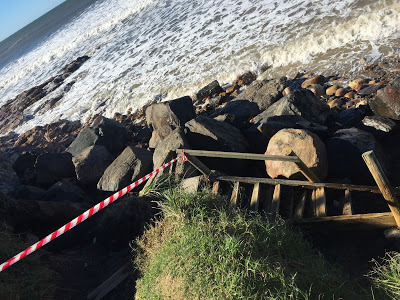 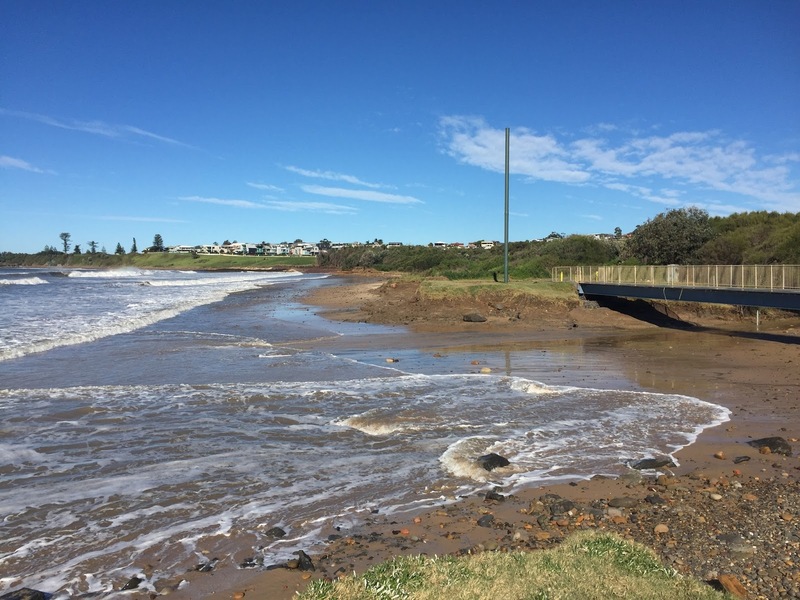 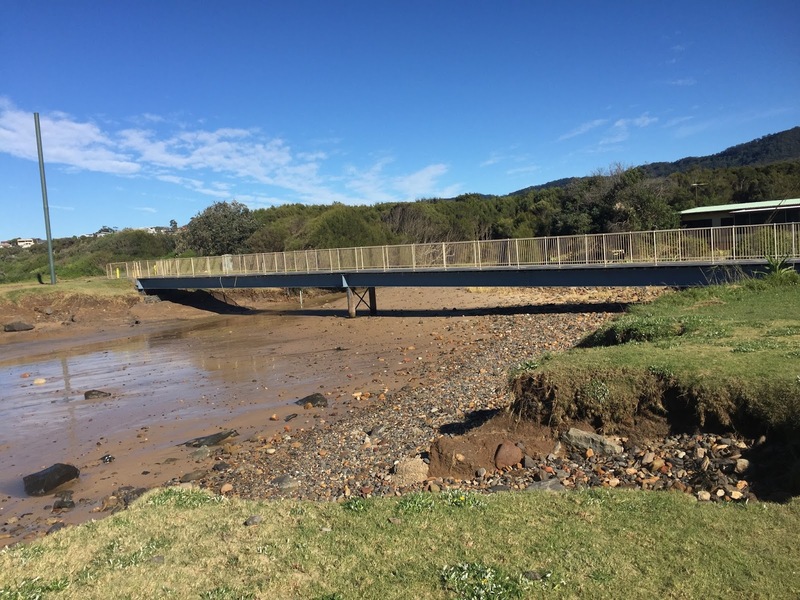 Council crews have been deployed to local beaches, assessing damage and beginning the massive job of clearing sand from where it shouldn’t be, and working out how to repair the damage where the sand and land have been stripped away by the monstrous seas. Prime Minister Malcolm Turnbull has declared the Wollongong Council area a natural disaster zone, which means Council is eligible to apply for emergency relief funding to repair damage cause by the storm. 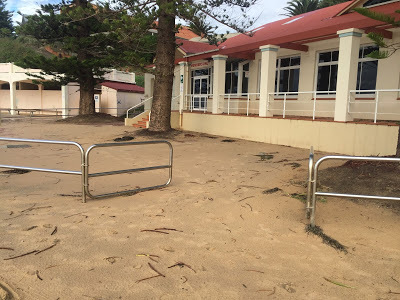 Possibly the worst-hit local beach is McCauleys where much of the sand has been removed, well up to the grass and beyond. Beach access steps have been torn away at the northern end, making it a scramble to reach what’s left of the sand. 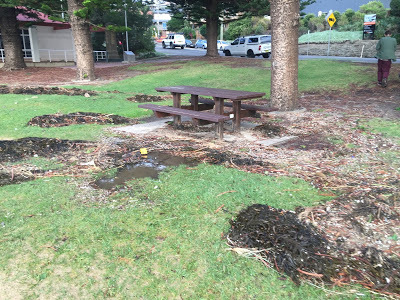 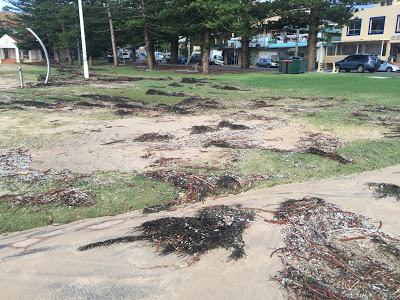 Around 30cm of sand washed in to Austinmer Beach car park, with seaweed deposited almost to Lawrence Hargrave Drive as the super-swell combined with a king tide. Council began work today (Thursday) on that massive clean up operation. 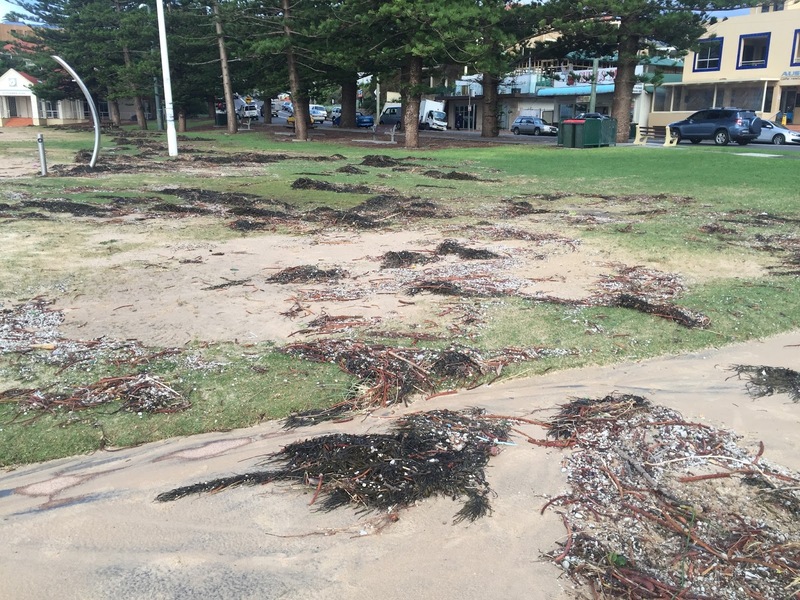 Austinmer and Thirroul’s southern ends were littered with weed and rubbish. 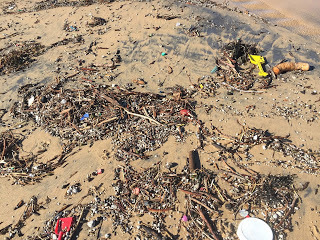 What is astounding is the amount of plastic that has also washed up. 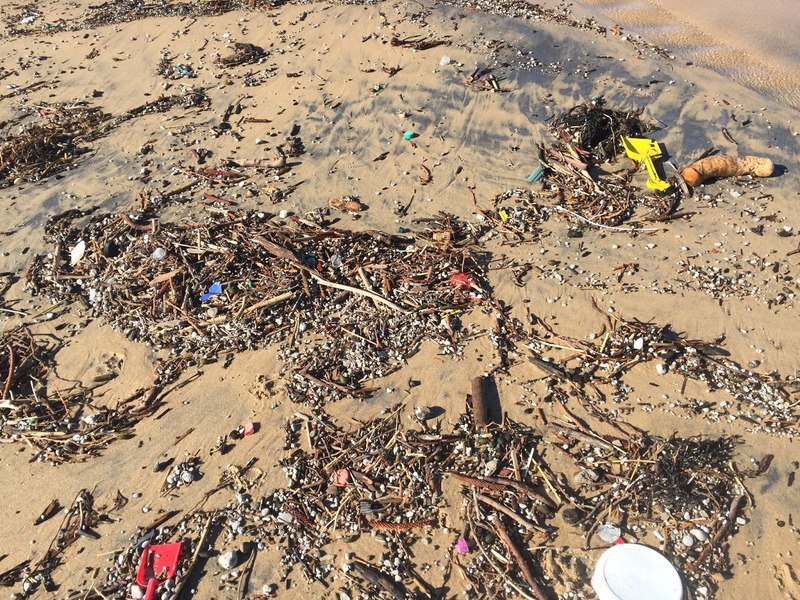 It’s a wake up call to see just how much litter really is in our ocean. 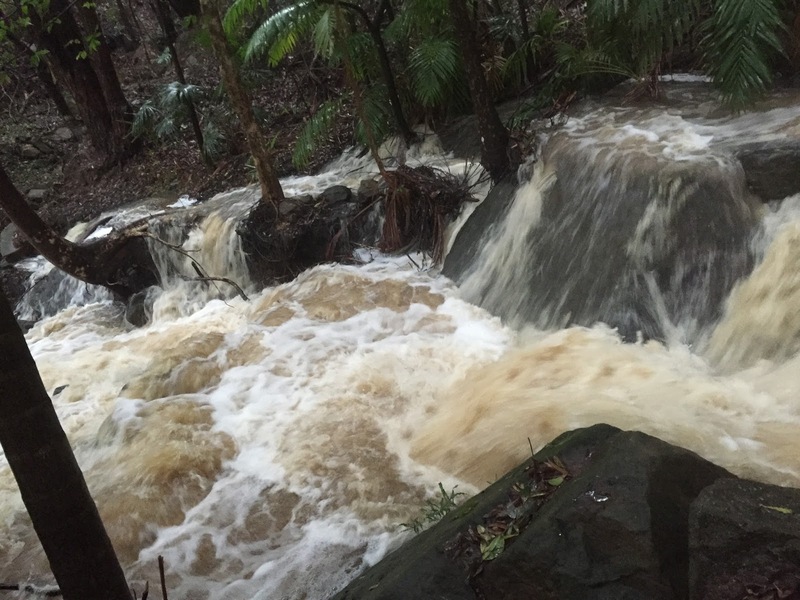 According to the Bureau of Meterology, in the 48 hours until 9am Monday, the Bellambi Weather Station recorded an incredible 233mm of rain. That’s double the average rainfall for the entire month. 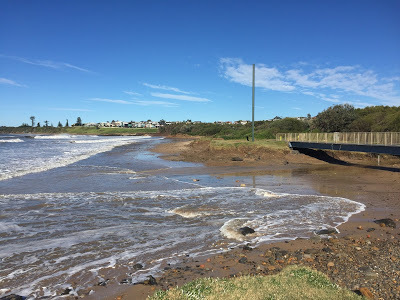 Local creeks swelled to capacity and new ones were created as a massive volume of water made its way to the sea. 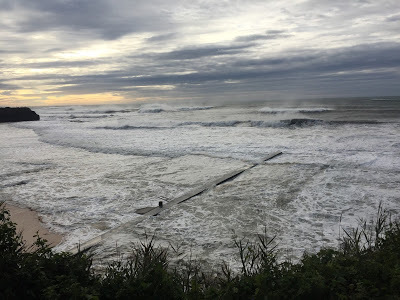 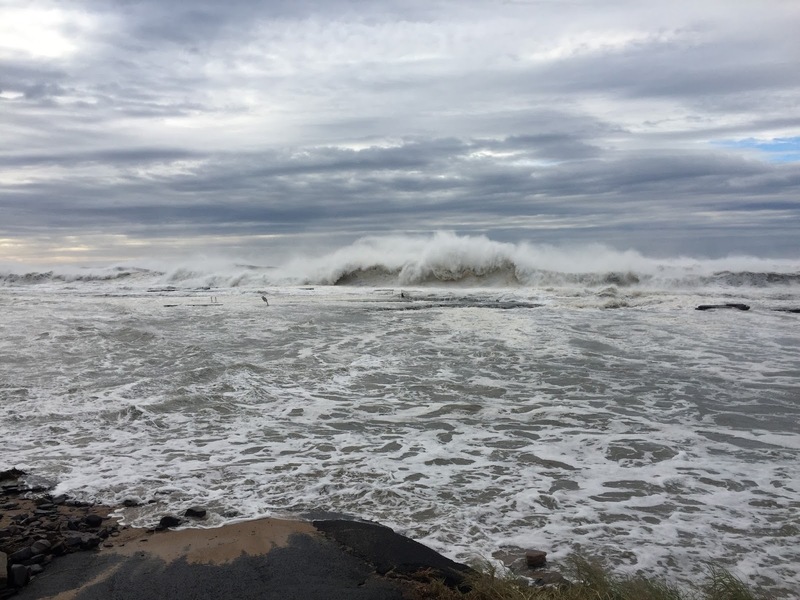 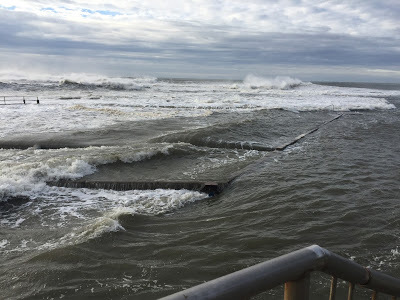 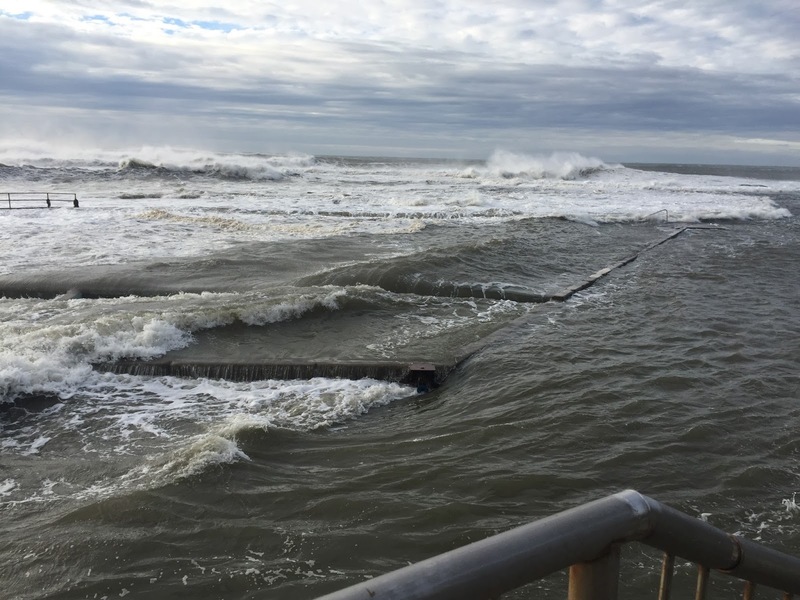 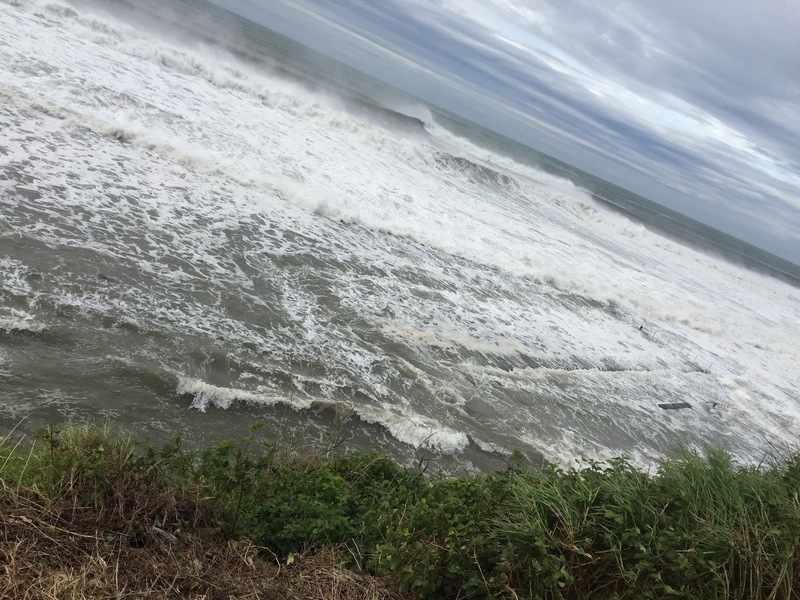 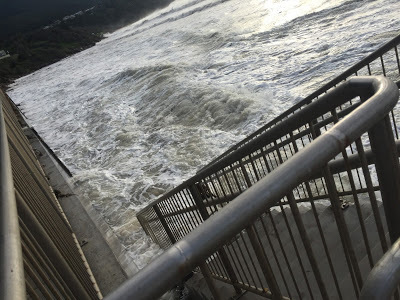 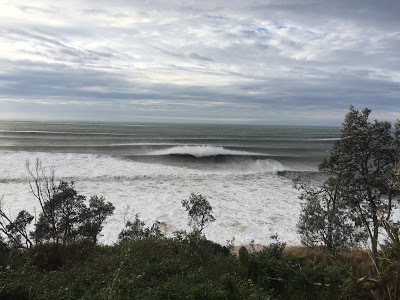 By monday afternoon, hard-core surfers were dipping their toes in the large and powerful swell, although the EPA and Council have warned us to stay out of the water as that run-off can be dirty. 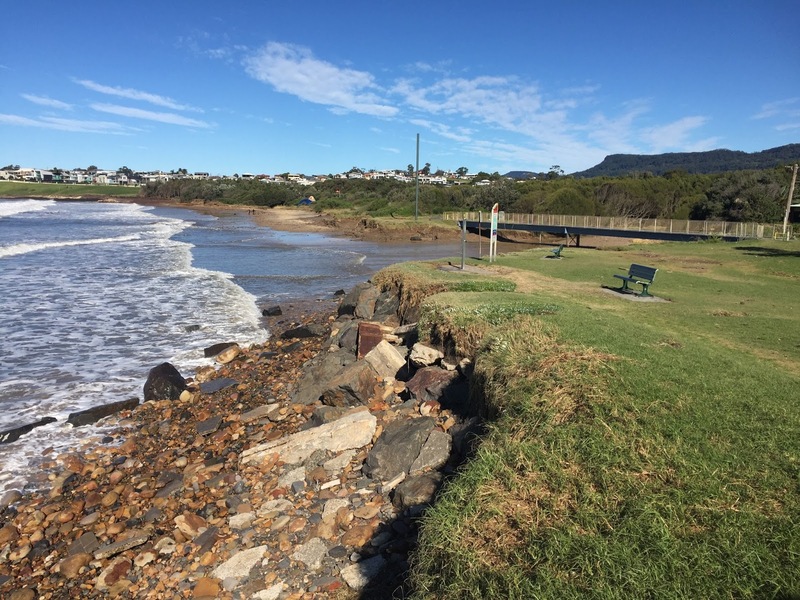 Wollongong Lord Mayor Gordon Bradbery says overall, our area was relatively lucky. 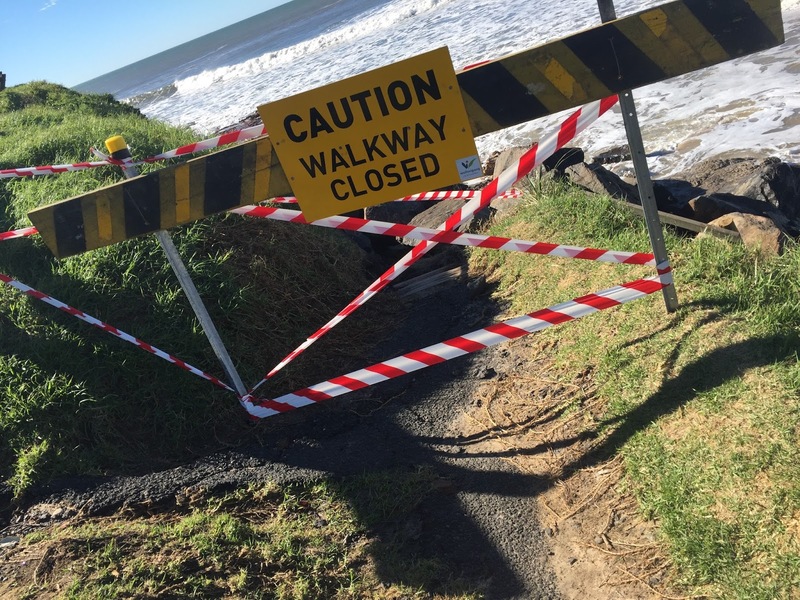 “Council’s focus now is on the removal of trees and debris, repairing infrastructure and securing dangerous areas,” he says. Fencing erected at Coalcliff teeters on the edge of the grass with a drop of more than two meters to where the beach used to be. 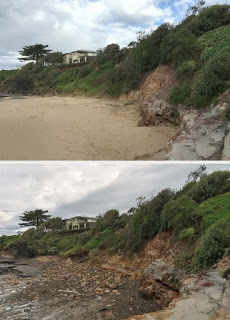 The nearby inlet shows signs of water damage several meters up the banks as evidence of the amount of water flowing into the ocean from the escarpment above. 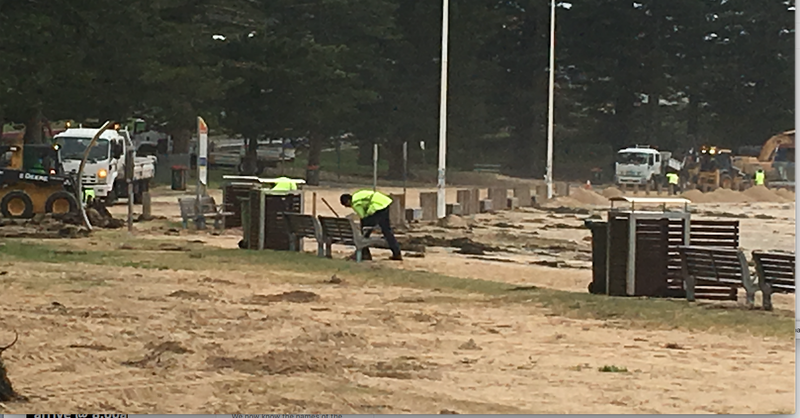 We are being urged to report any damage or hazardous conditions to Council by calling 4227 7111. 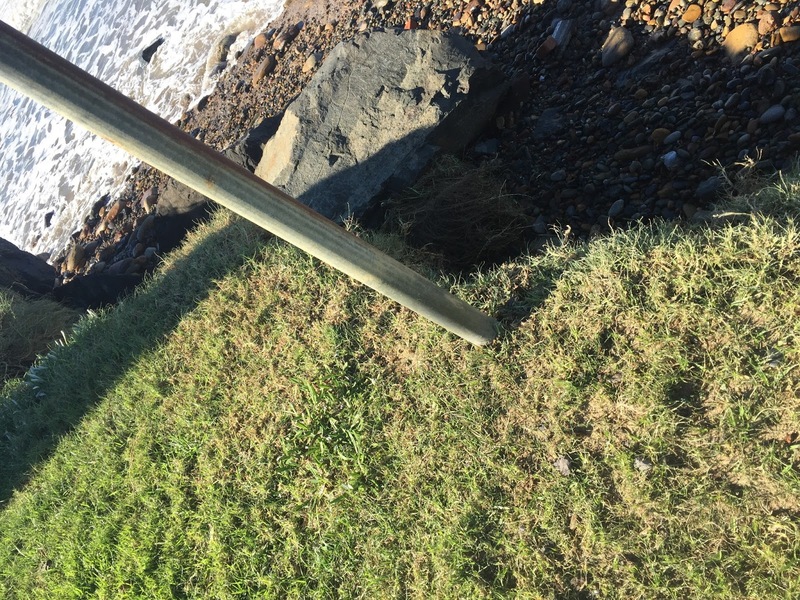 House For Sale- Includes Donkey and Cow!